The Icelandic composer Anna Thorvaldsdottir has signed a long-term agreement with Chester Music, part of The Music Sales Group of Companies, to publish her music from 1st July 2017. The catalogue includes twenty-five works spanning orchestral, ensemble, solo, choral, vocal and chamber opera repertoire. Thorvaldsdottir’s work is notable for its command of large-scale musical structures which seem to unfold organically whilst never losing focus on their ultimate destination. This can be heard in orchestral pieces such as Dreaming, for which she won the 2008 Nordic Council Music Prize, and AERIALITY, which has received over 20 performances since its premiere in 2011. Ensemble works including the 40-minute cycle In the Light of Air allow the listener to dwell on the ingenuity of the composer’s instrumental writing, whilst the recent choral piece Ad Genua demonstrates her naturally expressive vocal music. Her largest scale work to date is UR_, a chamber opera with a cast of four characters which deals with the human struggle to return to a natural state of being. Thorvaldsdottir was the recipient of the New York Philharmonic’s Kravis Emerging Composer Award in 2015 which features the award of an orchestral commission, on which the composer is currently working, for premiere in Spring 2018. Anna’s debut portrait album Rhízōma was released in October 2011 through Innova Recordings. Aerial was released by Deutsche Grammophon in November 2014 and In the Light of Air was released by Sono Luminus in August 2015, performed by the International Contemporary Ensemble (ICE). Anna’s music is frequently performed internationally, and has been featured at several major venues and music festivals such as Lincoln Center's Mostly Mozart Festival in NYC, the Composer Portraits Series at NYC's Miller Theatre, the Leading International Composers series at the Phillips Collection in Washington DC, Big Ears Festival, ISCM World Music Days, Nordic Music Days, Ultima Festival, Klangspuren Festival, Beijing Modern Music Festival, Reykjavik Arts Festival, Tectonics, and the Kennedy Center in Washington DC. 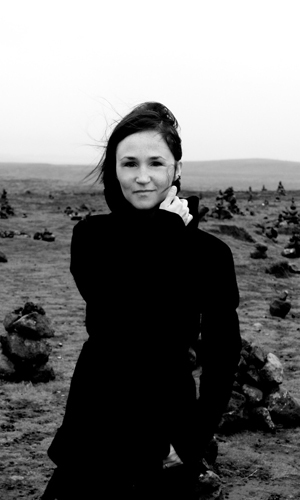 Her works have been nominated and awarded on many occasions - most notably, Anna is the recipient of the prestigious Nordic Council Music Prize 2012 for her work Dreaming, and The New York Philharmonic's Kravis Emerging Composer Award in 2015. Some of the orchestras and ensembles that have performed Anna's work and will feature her work in the near future include International Contemporary Ensemble (ICE), New York Philharmonic, Los Angeles Philharmonic, Iceland Symphony Orchestra, Ensemble Intercontemporain, NDR Symphony Orchestra, Bang on a Can All-Stars, BIT20, La Jolla Symphony, Musiques Nouvelles, Yarn/Wire, The Crossing, Los Angeles Percussion Quartet, San Francisco Contemporary Music Players, Aarhus Symphony Orchestra, BBC Scottish Symphony Orchestra, CAPUT Ensemble, Oslo Philharmonic, and Either/Or Ensemble. In May 2017, Alan Gilbert will lead the New York Philharmonic in Anna’s work AERIALITY, part of Gilbert’s final season as Music Director. When not engaged in music-related activities, Anna may be found doing yoga or walking in nature, seeking inspiration for music and life. Anna is married to Hrafn Ásgeirsson, PhD in philosophy, avant-garde saxophone player and recreational photographer.